Kitty Rambles A Lot: Head Shave to Raise Money for Macmillan! Head Shave to Raise Money for Macmillan! When I was 11, I met my best friend Fal. We've been pretty inseparable since we met, both being bridesmaids at each others weddings and hell, we both even married men called Stu. We take being best friends super serially. We've been together through thick and thin, good times and bad, and right now, Fal and her family are having one of those harder times. Fal's awesome Mum Sally is fighting breast cancer, and to support her, Fal has decided to shave her head to raise money for Macmillan Cancer Support. Macmillan are an incredible organisation who have been a great help to Sally, and are such an important charity. To borrow Fal's words, 'I can't be with my mum through the sickness she gets from chemo or the constant 'what if' thoughts she has but I can support her through losing her hair'. I'm so proud of Fal for deciding to support her Mum in this way, and I want to support them both in the way that I can, and that's to share her fundraiser with you guys. Cancer touches so many of our lives, and I'd love to help Fal absolutely smash her target! 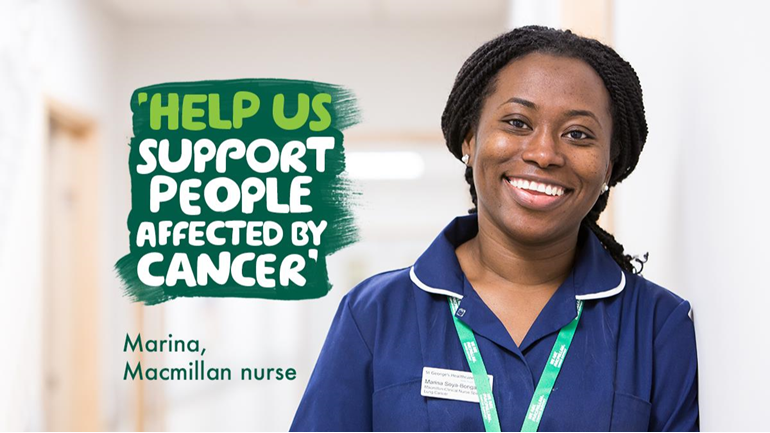 Every penny counts in supporting those who are facing cancer and allows more incredible Macmillan nurses to help.